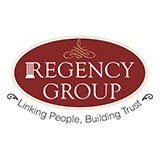 Since inception, the Regency Group has been adding value to its customers' lives by helping them realize their dreams. The projects completed by the group not only stand tall when it comes to construction excellence but also have become a benchmark for quality. The Group has successfully designed, planned and developed some of the most preferred addresses of Navi Mumbai, Thane, Dombivli amd Pune with unmatched credibility. Living a complete life in your home is the ultimate dream of an individual. Comfort convenience, luxury apart your home should also allow you to take long walks along green paths with your family.Your home is a symbol of your status in life, a reassurance of security and pride of ownership. A home at Sarvam not only offers you all these attributes but much more. A perfect home that completes a perfect life. A home at Saravam willbe a milestone that will act as a catalyst to propel you towards the next milestone. Regency Group was set up by Chairman and Managing Director- Mr. Mahesh Agarwal in the year 2000. With 12 years of experience in the world of real estate, its USP is pretty straight- forward: possession is always given with a clubhouse and sales begin only after 70-80 % of the work is ready. This has helped the company command a good reputation and even beat the uncertain market.